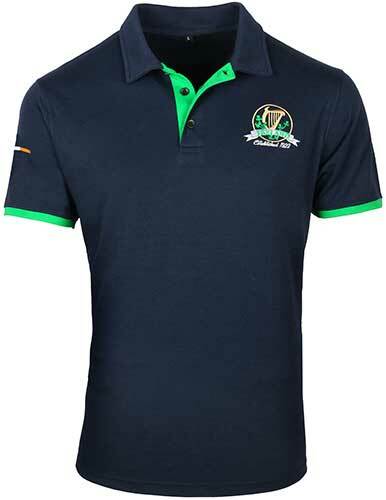 Irish polo shirt features an embroidered shamrock and harp motif on the left chest. 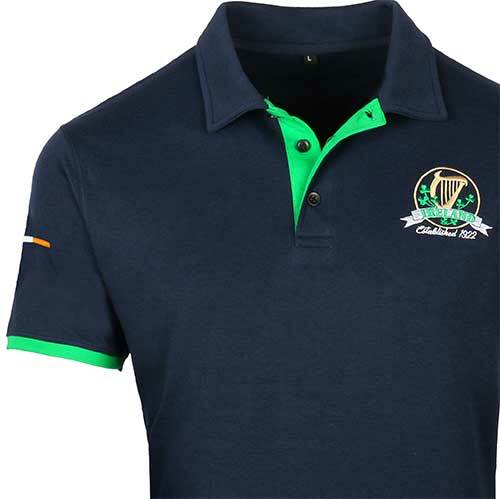 This navy blue Irish polo shirt features the harp, the national symbol of Ireland, along with shamrocks embroidered on the left chest. 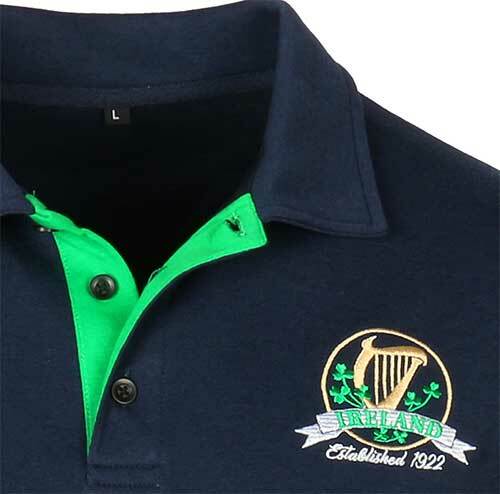 The harp polo shirt is further enhanced with the embroidered words, Ireland, Established 1922, the year the Irish Free State came into being. 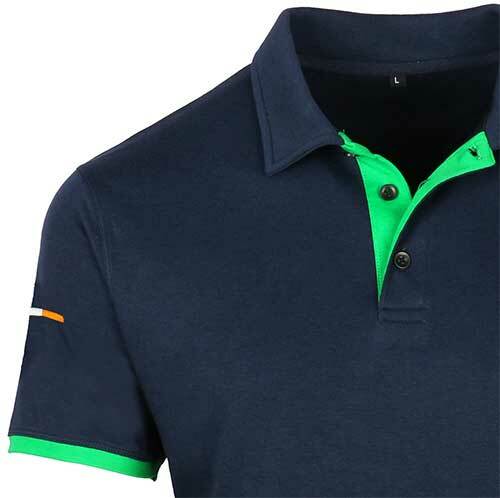 The Irish sport shirt is made of a soft cotton and polyester fabric that is perfect on the golf course or for casual wear.